Most, if not all, of us realize the importance of wearing sunglasses while we’re outside. And we know that wearing shades with 100% UV protection is the only way to shield our eyes from the sun’s harmful rays. 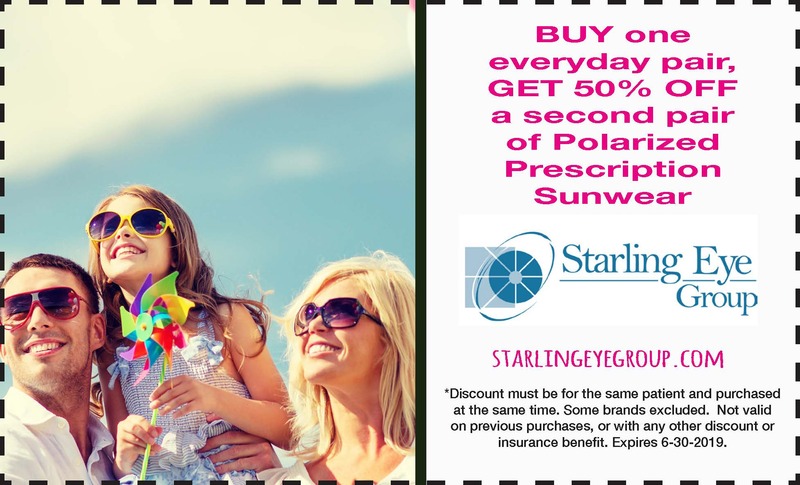 It is especially important to keep our eyes protected since sun exposure is cumulative and can increase your risk of getting eye-related diseases like cataracts. Normal sunglasses help darken bright light and prevent damage to the retina while keeping eyes and facial muscles from squinting and getting fatigued. But polarization goes further than just UV protection. Polarized lenses are specially designed to eliminate glare and bright reflections, because a special lens film neutralizes the glare, making objects appear much clearer and easier to see. In addition to the comfort and functionality of non-glare lenses, the added polarization helps keep your eyes safe from the sun’s dangerous rays. Everyone can benefit from polarized lenses. Schedule an appointment and shop our selection of polarized sunwear today!